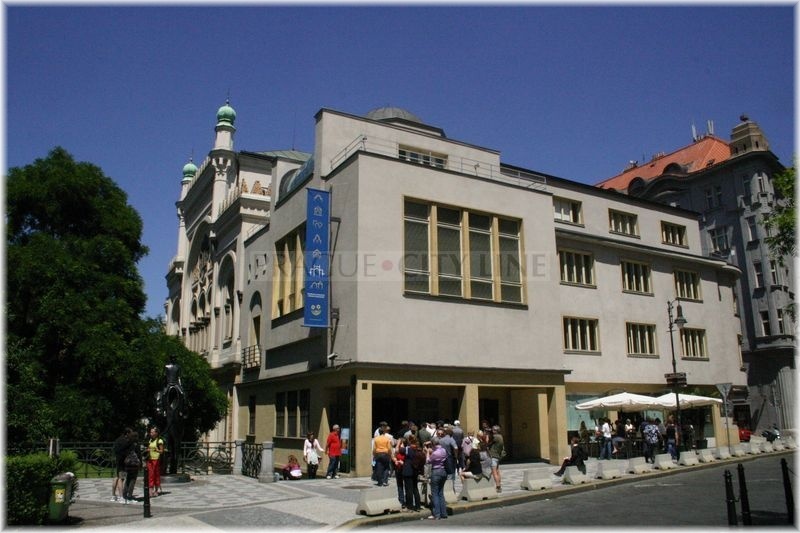 The youngest synagogue of the Prague´s Jewish Town Josefov was built at the crossroads of the streets Dušní and Vězeňská between 1867-68. Just like some other synagogues also this one was built in the Moorish style according to the project of Ignác Ullmann and Josef Niklas. 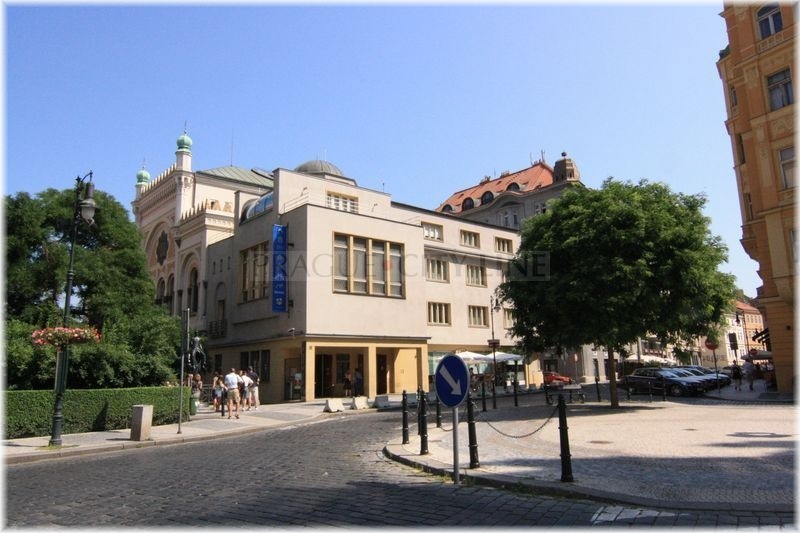 The construction was performed in place of the former oldest synagogue called The Old School or „Templ“ which according to the extant historical sources existed already in the 12th century. It was called „school“ because the synagogues used to serve as educational institutes for the inhabitans of the Jewish community. And why is it actually called „Spanish“? 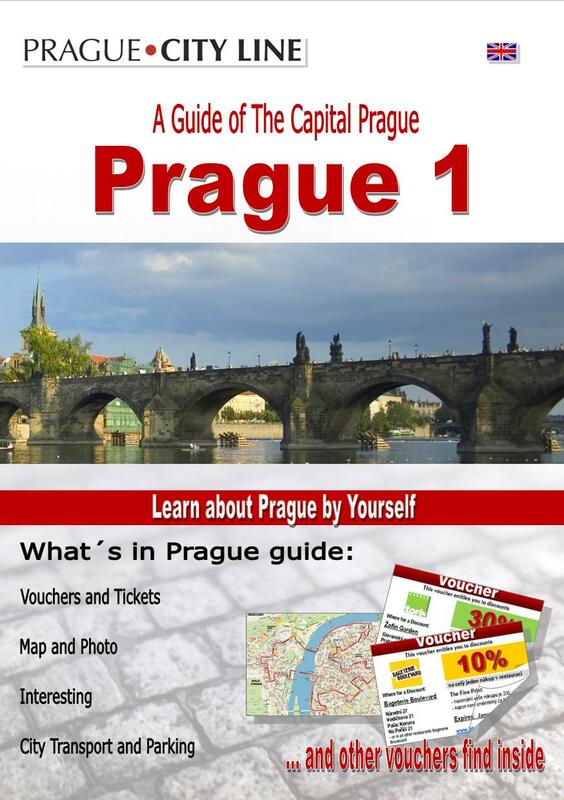 There was an expulsion of the Jews from Spain by Isabella of Castile in the 15th century and after their departure from their original homeland a small part of them settled down in Prague. 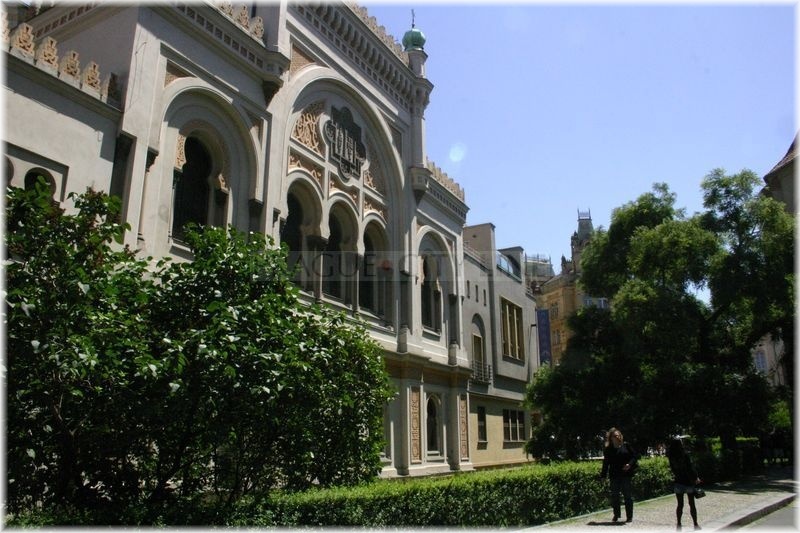 They received the mentioned school to be their sanctuary which got the name „the Spanish synagogue“ after being settled by the Spaniards. 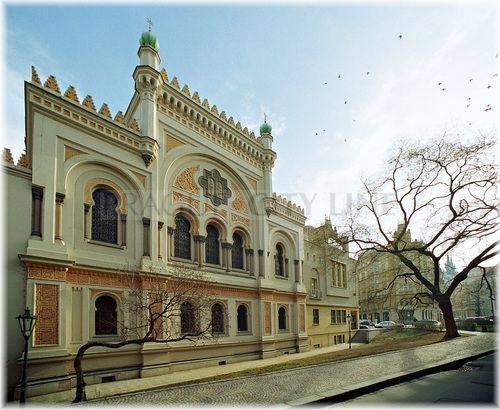 The construction of the new synagogue was performed under the direction of the architect Quido Bělský. The new Neo-Renaissance building with a square layout carries a huge cupola on its shoulders. 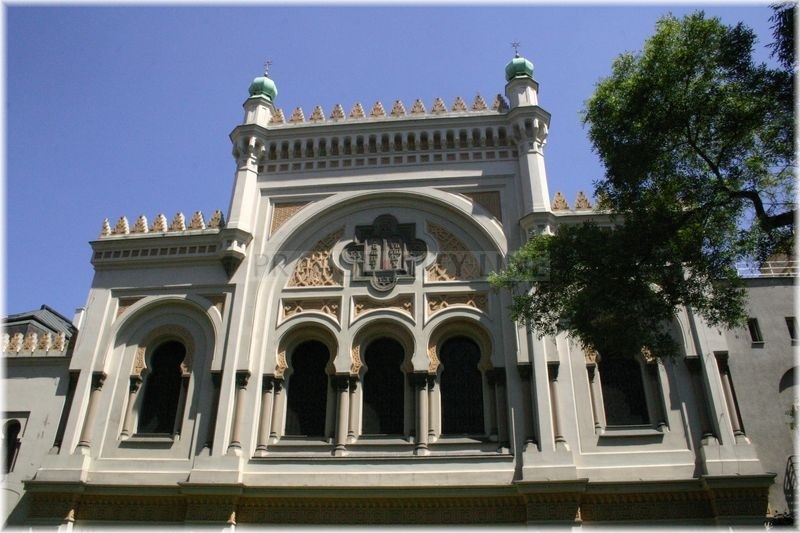 Although the synagogue is the youngest it is classified as the most beautiful and its visitors pay always great attention to its splendid and beautifully decorated interior. If you are not taken away by the giant cupola in the main part you will certainly notice the prevailing Oriental or natural stucco patterns. The architects got mainly inspired by the Islamic architecture here with dominating richly decorated and gilded elements. You will certainly notice also the gorgeous carving decorations, especially on the doors and also on the banisters. The synagogue was no more used for the purpose of services in 1941. During WW2 it turned into a storehouse of objects that had been confiscated to the Jewish inhabitants by the Nazi representatives. A few years later it was given to the Jewish museum and after that the interiors were reconstructed according to the project of the architect Otto Rothmayer and after its completion in 1960 the exposition of the synagogical textiles were placed in the sanctuary. 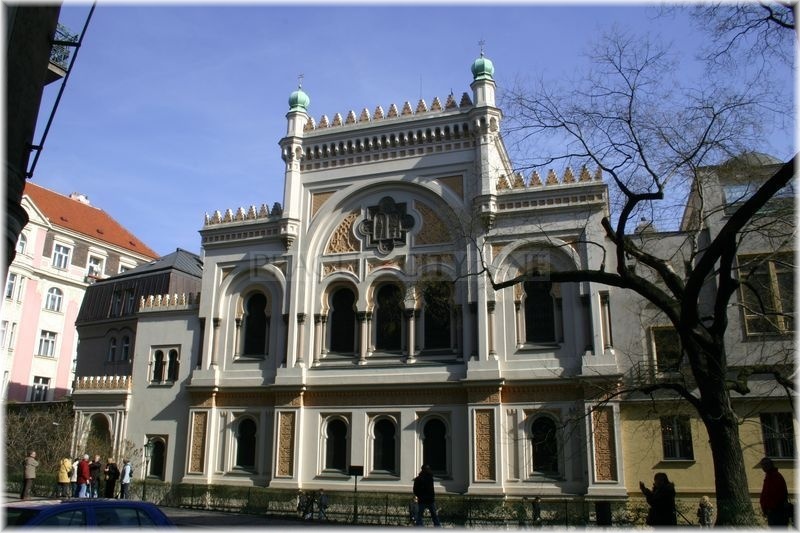 In 1979 it was necessary to close the synagogue due to its emergency condition. After long delays and proposals another reconstruction was carried out during which mainly the wiring and the interior were repaired, i.e. all the stucco and painter´s decorations, complete gilding, grisaille glass, the gorgeous organ, all the cabinet-maker elements and also the textiles. 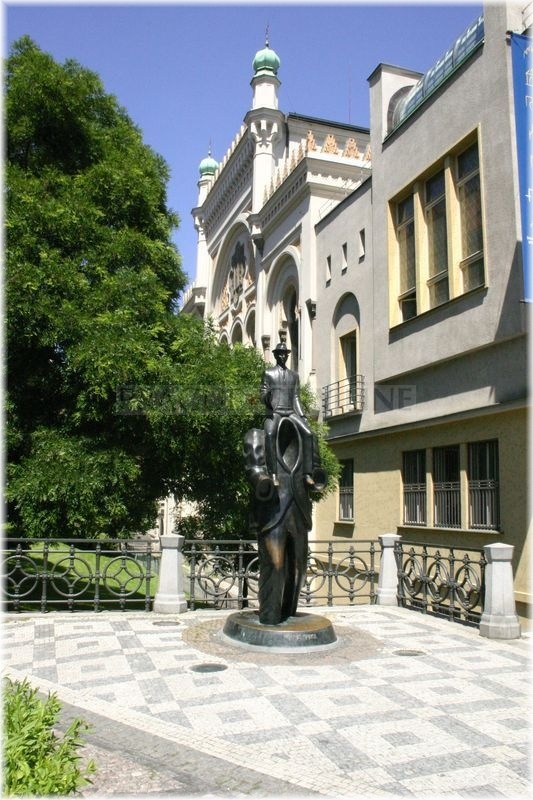 Just like in other synagogues also here you will find the permanent expositions with the Jewish themes. In the main aisle the visitors can take a look at a striking exposition called „History of the Jews from the emancipation until today“ The exposition continues the exposition „History of the Jews in Bohemia and Moravia from the beginning of the settlement until the beginning of the emancipation“ (period between 10th-18th century) which you have already seen (or perhaps plan to see) in the Maisel Synagogue. 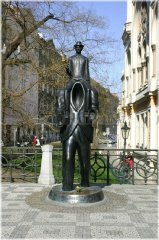 The idea of the exposition is to express and describe the history of the Jewish community from the reign of Rudolph II. until WW2. The exposition is for many of us certainly very informative, we will learn about the history of Judaism and development of the Jewish life. 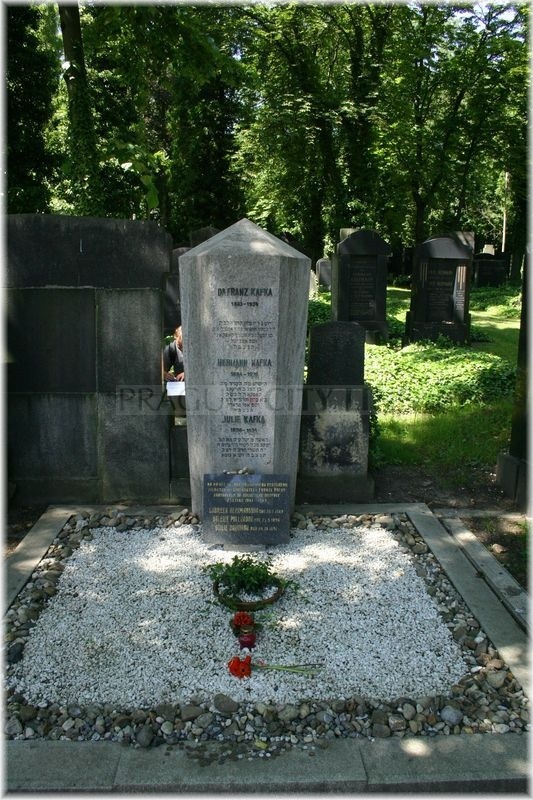 When leaving the synagogue do not forget to look at the statue of the Jewish writer Franz Kafka who is buried in the New Cemetery in Prague 3. However, see more details on this writer in another article. 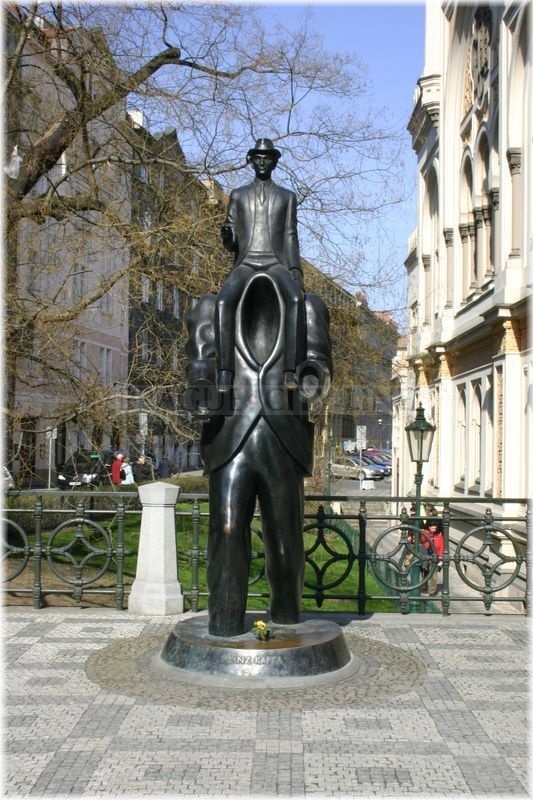 Another attraction that the eye of a curious tourist must spot is to be found at the end of Vězeňská street. 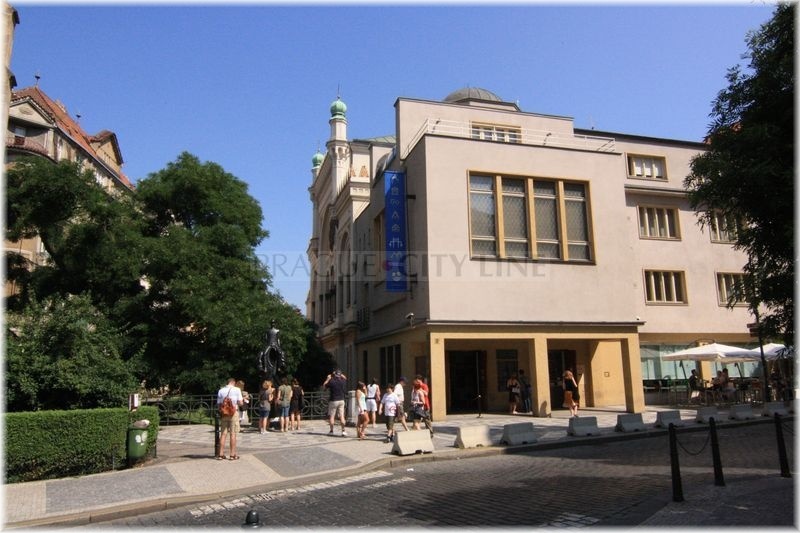 It is an elevated part of the pavement in Kozí street which has been preserved as a commemoration of the time when the Prague Jewish ghetto was demolished. 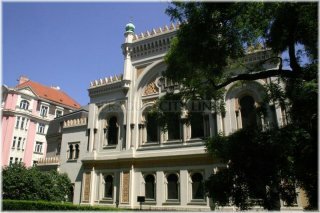 The museum is open every day except Saturdays and Jewish holidays.